Azaz has seen brutal fighting in order to secure the northernmost crossing with Turkey. The remnants of fighting and the subsequent shelling, that saw 50 dead, are seen throughout the town, in burnt-out tanks and piles of rubble. Azaz has seen brutal fighting in order to secure the northernmost crossing with Turkey. 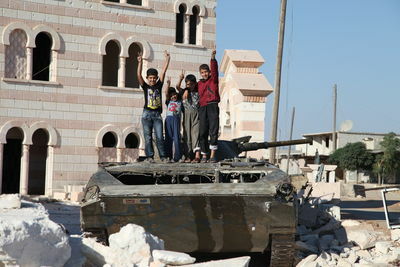 The remnants of fighting and the subsequent shelling that left 50 dead are seen throughout the town, in burnt-out tanks and piles of rubble. Azaz has seen brutal fighting in order to secure the northernmost crossing with Turkey. 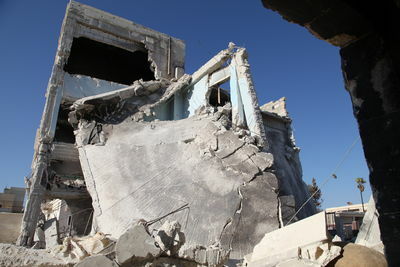 The remnants of fighting and the subsequent shelling, that left 50 dead, are seen throughout the town, in burnt-out tanks and piles of rubble. Azaz has seen brutal fighting in order to secure the northernmost crossing with Turkey. 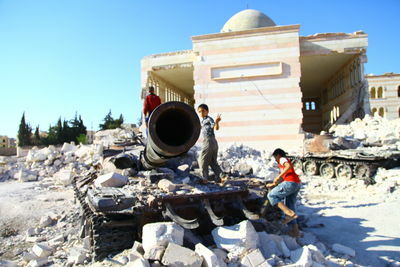 The remnants of fighting and the subsequent shelling, that saw 50 dead, are seen throughout the town, in burnt-out tanks and piles of rubble. 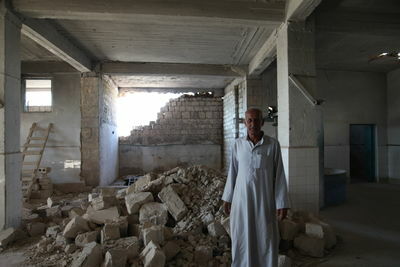 Here, a local businessman, who owns an olive-oil pressing factory, stands amid the rubble. 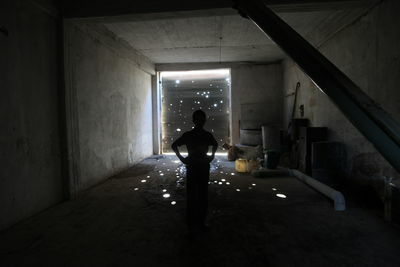 Rebuilding of the factory has begun, even as he fears that they will be shelled once more.